(1) Stay away from for-profit colleges. The number of students who take out loans at these institutions and eventually default is incredibly high, even if they earn a degree. (2) And second, loan default rates are incredibly low for students who never attended a for-profit college, and earn a bachelor’s degree. There is a lot of other data in the post, but those are the major lessons. Today, I want to present two graphs to illustrate these major findings. 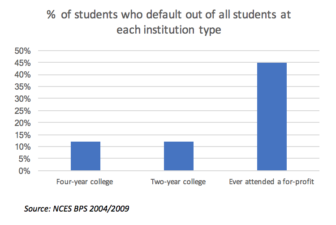 The first graph shows the overall default rates (students who, at any point, defaulted on a loan they took out to pay for school) for three different groups of students: (1) those who started at a four-year college in 2004 and never attended a for-profit college; (2) students who started at a two-year college in 2004 and never attended a for-profit; and (3) all students that started college in 2004 but at some point attended a for-profit college. 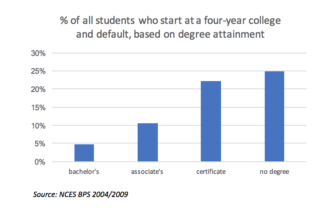 As you can see, default rates for students starting at both four- and two-year colleges are around 12 percent. 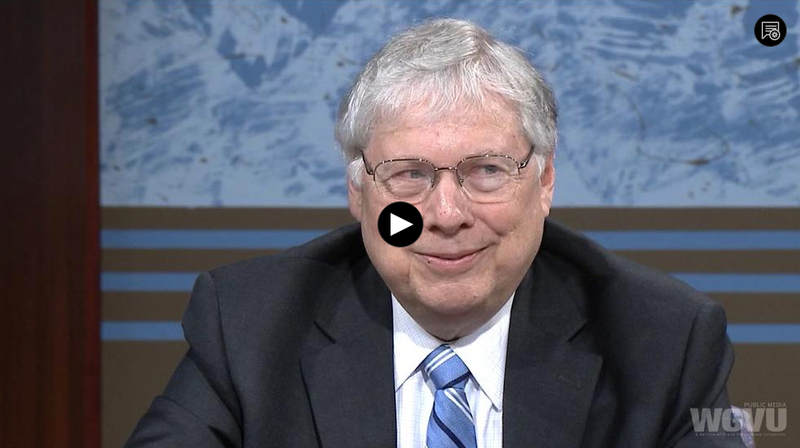 For students who ever attended a for-profit? 45 percent. 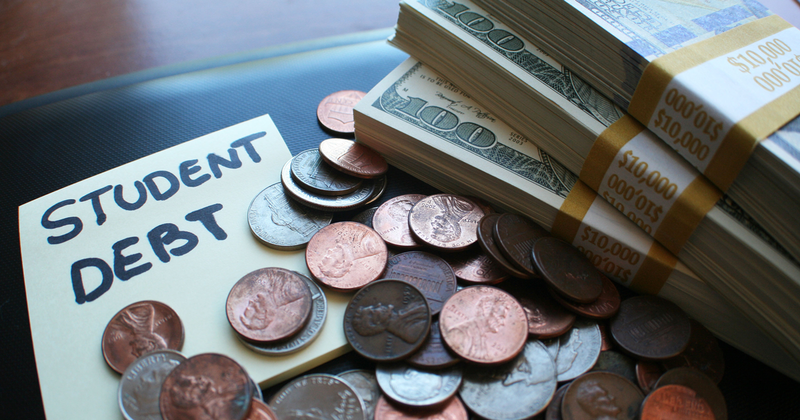 Nearly half of all students who walk through the doors of a for-profit college will default on their loans. Lesson one: stay away from for-profit colleges. The second graph breaks down the outcomes for all students who started at a four-year college in 2004 and never attended a for-profit, based on degree-attainment. We dove into this population because the public narrative makes it seem like attending a four-year college leads to crippling debt. But the narrative doesn’t stand up to the data. Less than 5 percent of students who started at a four-year college, never attended a for-profit, and earned a bachelor’s degree ever defaulted on their loans. And this represents the majority of students who started at a four-year college in 2004 and never attended a for-profit: 62 percent of these students earned a bachelor’s degree in six years. Lesson number two: complete a bachelor’s degree. Yes, a quarter of students who failed to complete their degree did at some point default on their loans, and that’s not good. Ideally going to college would carry no risk at all. However, under current conditions, in which a bachelor’s degree is all but required to obtain high-paying work, but college costs are still historically high, the solution isn’t to tell all non-affluent kids to avoid college. Instead, it’s to make sure they complete college.